Food Blogga: How Many Whole Grains Can You Name? How Many Whole Grains Can You Name? So you call yourself a foodie, huh? OK, quick, how many whole grains can you name in 1 minute? You're probably still eating Fruit Loops for breakfast and need to acquaint yourself with Kashi (no, it's not a country in Middle East). You're actually reading your cooking magazines instead of just using them for coasters. Good for you! Then you likely have posters of all the Iron Chefs in your bedroom. Then you either just Googled "whole grains" or you are a true smarty-pants and find you sometimes have difficulty getting along with others. Technically speaking, whole grains retain the bran and germ as well as the endosperm unlike refined grains, which retain the endosperm only. Food Blogga translation: whole grains provide vitamins, fiber, and antioxidants, so they're much healthier for you. When shopping, make sure products are labeled "whole grain" or "whole wheat." So why should you eat whole grains? They contain complex carbs, which your body digests more slowly, keeping you satiated longer. They are associated with a decreased risk of cardiovascular disease, diabetes, and stroke. They contain beneficial vitamins and are high in calcium, which is needed to build strong bones. 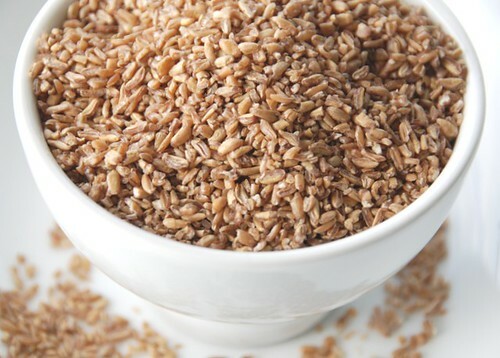 Though I love many whole grains, I'm partial to chewy, nutty bulgur, which is a form of whole wheat that has been cleaned, parboiled, dried, and ground into different types of coarseness (medium and fine are most commonly available in the US). 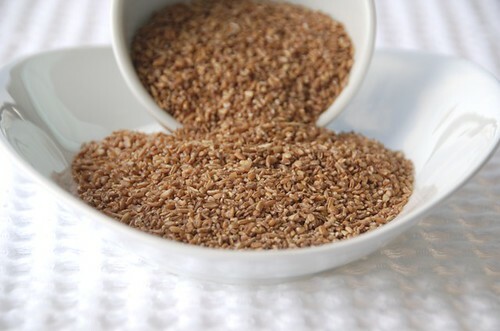 Therefore, it is a quick-cooking, highly nutritious grain. 1/4 cup dry bulgur is approximately 120 calories, 4 grams of protein, and 26 grams of carbohydrates. It also contains 5% of your daily calcium needs. It's high in manganese and iron and has more fiber than most whole grains. When purchasing bulgur, buy those packages labeled either "bulgur" or "bulgur wheat." (It might also be spelled "bulghur.") Do not however buy "cracked wheat" which has not been parboiled and takes much longer to cook. I learned that the hard way. 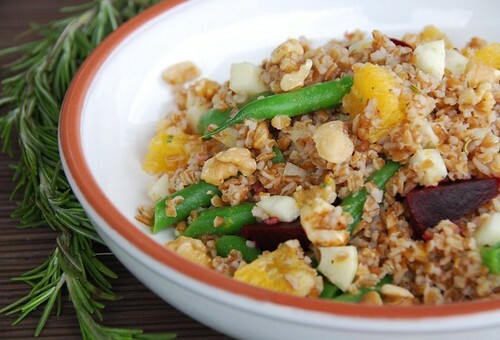 This dish has a number of calcium-rich ingredients: bulgur, fennel, oranges, string beans, chick peas, nuts, and rosemary. Earthy beets, licorice-scented fennel, and sweet oranges, are enhanced by a warm and tangy fennel-honey-mustard vinaigrette. And it tastes even better the next day. Would you like to participate in Beautiful Bones? You have until May 31st; the details are here. Cut off beet tops, and clean beets. (If you’re keeping the beet greens; submerge in cool water to release any dirt, then drain. Par-boil the greens by dropping them in boiling water for about 1 minute; remove and plunge into a bowl of ice water.) Shocking the greens like this will maintain their vibrant color. Drain, and store in an air-tight container in the refrigerator. To roast the beets, wrap them in foil and place in a 400 degree oven for about 1 hour, or until tender when pricked with a fork. Let cool slightly; rub off skins. (You might want to wear gloves and an apron for this part). Slice and set aside. To make the bulgur, add 1 cup uncooked bulgur and 2 cups water to a medium sauce pan. Bring to a boil for 2 minutes, then simmer with the cover on for about 10 minutes, or until all of the water is absorbed and the bulgur is cooked (it should retain some firmness). Meanwhile boil the string beans for 2-3 minutes, then plunge into a bowl of ice water. Drain and slice into 1-inch long pieces. Chop fennel and slice oranges; set aside. To toast the walnuts, place in a small, dry skillet over medium. Shake pan handle to ensure even toasting, for 1-2 minutes or until slightly toasted and aromatic. To make the vinaigrette, place anise seeds in a small, dry skillet over medium. Shake pan handle to ensure even toasting, for 1-2 minutes or until slightly toasted and aromatic. Add all other ingredients to skillet and keep over a low heat for about 1-2 minutes, whisking until well emulsified. Remove from heat and set aside. In a large bowl, toss together the cooked bulgur, vegetables, oranges, chickpeas, and nuts. Drizzle the dressing over the salad and toss gently until well coated. Sprinkle individual servings with toasted nuts and extra fresh minced rosemary, if desired. Well, I'm only a "slight" smarty pants, and I DO read my food magazine instead of using them for coasters. I eat Kashi for breakfast every day and I've got millet, bulgar, quinoa, and farro in the pantry. I haven't the slightest idea what to do with spelt though ... can you bake with it? Well I got most of them, but not all. So I guess I'm a smarty pants, but not a complete smarty pants because I missed a few that should have been obvious! Great post! I got two...didn't know many of the others were in the category...my bad. I will read the box of my Cap'n Crunch and seek out whole grains! Reading the list I'm famialr with many. I purchase bulger a few months back and have to say I likeit. I was thinking of making a salad and you just gave me the nudge. I was able to name only 4 in a minute. Does that put me in the loser categorie? I have seven in my pantry, so while I'm not a smarty pants, I'm keeping up with my reading! Great to be reminded of all of the health benefits of adding more whole grains to our diet. Thanks for the informative post and the nice recipe. You are always so right on Susan. Great salad you have here, and so healthy too. I must eat more of this type of food, thanks for highlighting! Great post Susan, I'm sure nearly all of us don't eat enough wholegrains. I've just had a huge bowl of porridge for breakfast so can feel smug for now. Shame on the wholegrain council for providing such a vague list - surely most people would interpret rice as including white rice, alongside the varieties like brown rice and wild rice that actually are wholegrains? Same with the wheat. With my nutrition rather than food blogging hat on I'd put wholegrains pretty low on the calcium-rich food list, though it is also true that every little helps and they are fantastically good for you in general! Isn't it ironic that crappy low fibre white bread (in the UK anyway, and I think USA and australia?) tends to have much more calcium in it than wholewheat bread because it is fortified with extra. Though the wholegrain bread is still better for you in almost every other way because of those wholegrain benefits! Really enjoying all of your calcium rich posts and wonderful recipes! Great list of grains, didn't know half of them! Kashi, a holy place for most Hindus in India is called Varanasi now, never been there but intend to go next time. I named 4..but hey, at least we saw your lovely salad in the process. Bulgur is just the best...great use of flavours in this very unique salad Susan. I got a good portion of them, though I haven't tried all of them. Farro's been on my list for a while so I hope to check something with it out. 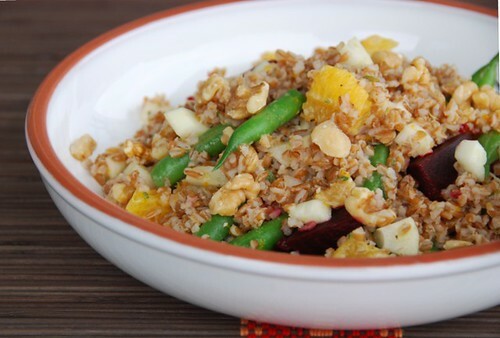 Bulgur is one of my favorites, and this salad looks great! A number of these I haven't heard of, but I still love my taboulleh!!! I'm familiar with most of the grains on the list, and as a vegetarian, so I should be :) Your salad sounds refreshing. Just the thing I could use right now. I did come up with 8, but I don't have a poster of an Iron Chef in my bedroom.... although Alfredo does like it when I call him MY Iron Chef. ;) (he, he) Love the healthy recipes - they really are perfect for our active family. You make me wanna try them all, Susan - your food is always so fresh and beautiful! well, i got more than five, but less than a smarty pants! (that's o.k., we have too many of THOSE in my family! lol!) 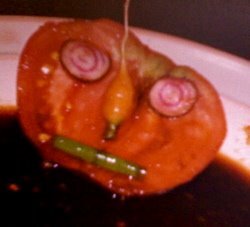 but the salad looks fantastically delicious. Bulgur is one of my all time comfort foods.. I ate it a lot growing up.. at breakfast and dinner... it is delicious with raisins and cinnamon and molasses and soymilk... and I love zucchini and herby tofu on top of bulgur... yum. I love bulgur and use it often and I tried quinoa recently. I am familiar with a few other grains but some of the grains you mention I've never heard them before. I just love the look of this salad and I bet it tastes great too. Lovely crunch and color! I am not much of a smarty pant, lol. But this is a good post for me--I'd like to increase my grain usage in my cooking. The salad sounds like a tasty way to start! Bulgar is one of my favourites too and this dish sounds wonderful. tw-Way to go! Apparently you can, but it's tricky. I haven't baked with it myself yet, but I'd Google it first before experimenting. peter-Has the Cap'n started including millet? sophie-They may not have the calcium content of yogurt and milk, but they're a decent source and have so many other nutrients. You're so right about the fortified breads. How ironic, that they take out all the natural nutrients then put them back in! asha-Wow, thanks for telling me that about Kashi! peter-I'm so pleased you like it. elly-Oh, definitely make the farro--it's amazingly chewy and nutty. heather-Beets and oranges are naturals together. I think you'll love it! lisa-I hope you try some! And the salad is really good. melody-Ooh, I've got to put molasses on it. Thanks! nina-It really is refreshing. Thank you. farida-That's terrific. Thank you so much! 7 of them, I had not even heard of or seen before! I should look up for their Turkish, though. Thanks for the very informative post, Susan; I felt good because I am actually cooking with the remaining 12 all the time. That bulgur salad looks good. I have been enjoying exploring whole grains lately. You always do such delicious combos together Susan, I love bulgar but normally eat it as taboulleh, time for a change!!! Hello! Thanks for stopping by my blog. I have been looking at yours for a while and I love it! This post is really nice. I was already planning to make something for your event.. hopefully I can actually put it together before it's too late! Take care and good luck for everything. I too am a big fan of whole grains. My favourite bread right now is made with (among other things) dark rye, wheat, coarsely ground corn meal, millet, barley, oats and buckwheat (how embarrassing; that wasn't one of the grains on my one minute list). Wow... I guess I DON'T have a life LOL... I got 11! I cook with almost all of them so I guess that's why. Great post. I just made bulgur for the first time a couple months ago and found it pretty good - although I used a very plain recipe, so it needed a little additional flavor. My bag said Bulgur in big letters then cracked wheat in small letters beneath it. I'm still not sure what it was, but it cooked in about 15-20 minutes. I love trying different whole grains, but I have to admit, I too often fall back on the wheat/rice/oats wagon. More grains, hear hear! rosie-I'm so pleased you like it. burcu-You get a gold star then! kevin-I'm glad to hear it. marie-Oh, yes, it's so versatile. marta-Thank you for the kind words. ejm-Is there another name for "foodie"? If so, PLEASE tell me! Goat cheese would be a lovely addition. andy-Well, at least in cooked quickly. It really is versatile, so I hope you try it different ways. bazu-I know what you mean...they're so easy and familiar. Oats is still my #1 too. 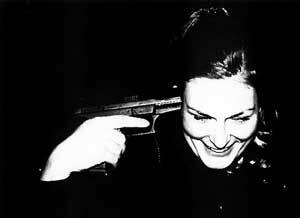 Hi, just stumbled upon your blog, and tried this recipe. OMG!! !This is soooooo good. I forgot the green beans, but it still tastes fantastic. I added just a tad of goat cheese, because I love it so much with beets. Thanks for such a great recipe!! !